Deborah Cox as Rachel Marron in The Bodyguard. Photo by Joan Marcus. 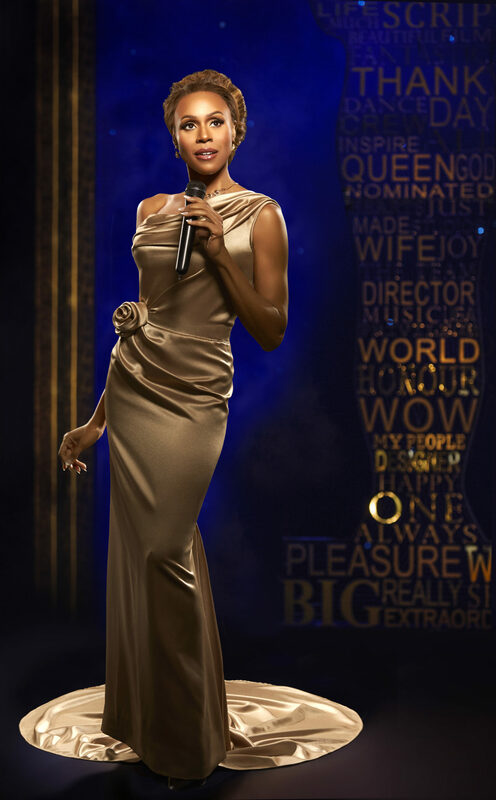 The U.S. national tour of The Bodyguard, a musical by Alexander Dinelaris based on the 1992 film and featuring the music of Whitney Houston, kicked off last Tuesday at the Orpheum Theatre in Minneapolis. This tour stars the dazzling Deborah Cox, the Grammy-nominated and multiplatinum artist with the formidable task of carrying a show by singing the songs of one of the most iconic voices of her generation…who also happened to die tragically after the musical had already been in development for years. What could go wrong? Deborah Cox at the Oscars. Photo by Joan Marcus. Though both Houston and the 1992 Kevin Costner film have ardent fan bases, and Houston’s cover of The Song™ remains one of the best-selling singles of all time, The Bodyguard film seems an odd choice for source material. This is especially true as the success of the film was arguably buoyed more by its monster single than anything in its script or its cast. In terms of jukebox musicals, Houston’s catalogue is hardly the most “singable” (except by the best and the bravest), and anyone attempting to interpret her songs, especially after her passing, risks –no , invites – unfavorable comparison to the original. This is complicated by the fact that a lot of Houston’s greatest hits are the same flavor of soaring pop ballad, which could make for a pretty monotonous evening at the theater. Plus, the audience will be waiting all night for The Song™, so how can you possibly preserve its dramatic impact when it finally, inevitably comes? The show first tries to win you over the old-fashioned way, with pyrotechnics and big production. In adapting the film, the musical has shifted the emphasis more to the Rachel Marron character (played by Cox) and her sister Nicki, played by Jasmin Richardson (partially to spread out the female vocals, no doubt). Richardson has a confident high belt and a beautiful movement to her voice; as Rachel, Coxis technically outstanding. In pacing herself and trying to add texture and variety to some of the bigger songs that come earlier on, it can seem as though Cox is holding herself back, but this just makes it all the more thrilling when she finally does let it rip. The eponymous bodyguard, Frank Farmer, is played by Judson Mills with a caricatured stiffness that eventually becomes endearing. Judson Mills, who plays the eponymous bodyguard. Photo by Joan Marcus. The story has been pared down for maximum simplicity, and the show pays homage to its cinematic roots by intercutting live action onstage with projected images of the actors onscreen. Initially, the first act seems overly ambitious in the scope it tries to bring from screen to a single stage, exemplified most perhaps in under a dozen ensemble members approximating a riot in slow motion at Rachel’s concert, but at that point the show has started to own up to what it is. As Rachel performs, she encourages the audience to join in and sing along, and if you are with the right crowd, they definitely will…as if beckoned by Whitney herself. The concert’s climactic moment is followed immediately by Rachel and Frank in silhouette, recreating the movie poster almost exactly. IF you were not sure already if you were at an adult pantomime and singalong, Bodyguard removes all doubt when the first act culminates in transforming the stage into a giant karaoke bar, the words themselves projected above the performers in case the audience wanted to join in again. Frank even favors Rachel with a little rendition of a little known Dolly Parton piece, just the first of teases for The Song™. There are moments of ridiculousness and melodrama that you can choose to surrender to or not, but there is fun to be had if you do decide to see this show. (The night I attended, the audience would shudder and boo and then laugh at themselves for booing when the bad guy emerged from the shadows.) And for all the melodrama, overwroughtness, and fan service, and for as hardened to sentiment as you think you are, when Deborah Cox makes her final entrance and The Song™ does happen, it will get to you. I promise.